“It’s one of those pieces of research that you say, ‘why hasn’t someone done this before? '” said Tim Woodfine, the director of conservation at Marwell Wildlife in southern England. He did not take part in the study. “It’s simple and neat. I think it’s a great piece of work,” he said. How, an expert on animal vision, told The Associated Press on Thursday there are reasons to be “quite excited” about the research, which he said helps scientists understand what’s happening in the mind of a fly. 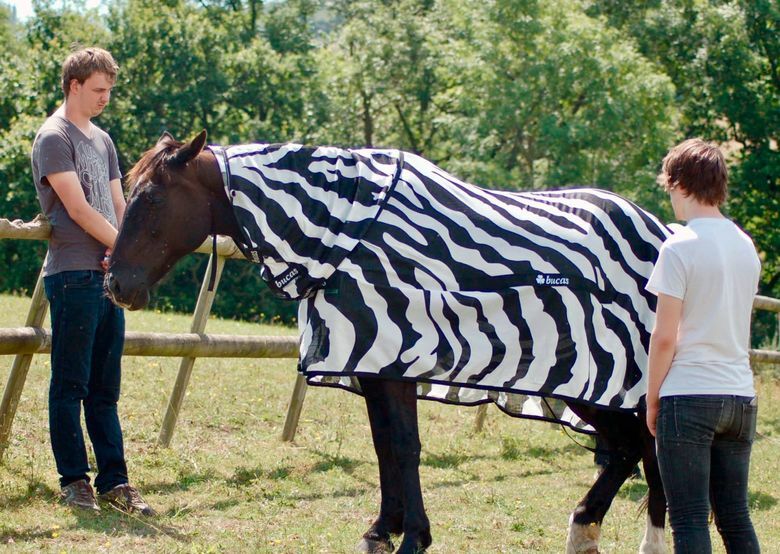 “We’ve been arguing about zebra stripes for 75 years,” said McAlister, who was also not involved in the study. But there are also human applications. How says from now on, he’s wearing stripes while riding his bicycle during horse-fly season. This story has been corrected to show the verb in the closing quote should be “pique,” not peak.